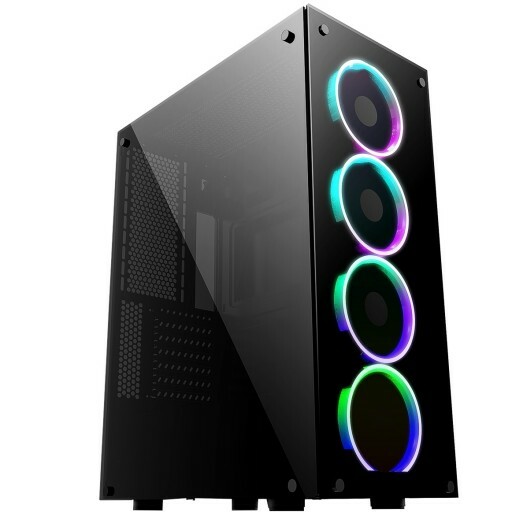 Brand new for 2019 Game Max are proud to introduce the Predator, Full-Tower RGB PC Gaming Case with 4mm tempered glass enclosing the front, left and right side. 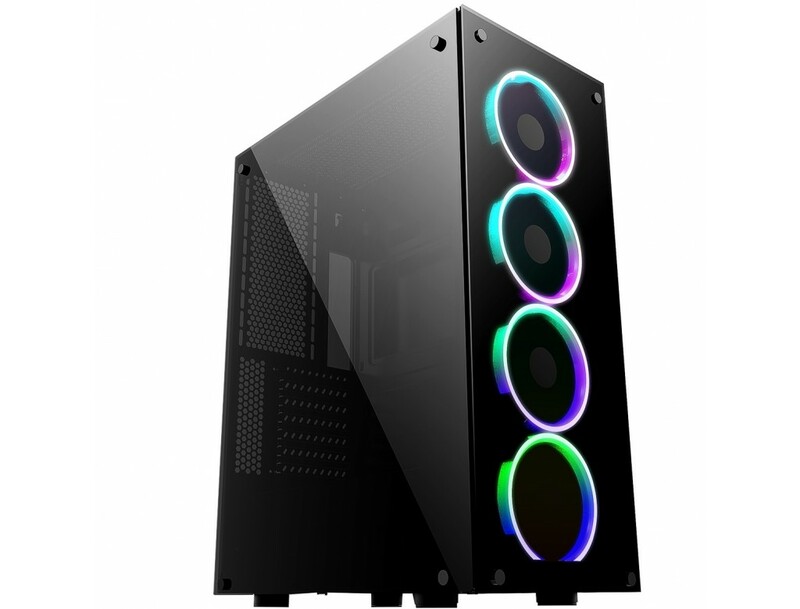 With room for a massive 11 fans, a 6mm gap around the entire front panel for air intake and a cut out up top for 2 x 120 0r 140mm fans this case offered excellent cooling options. 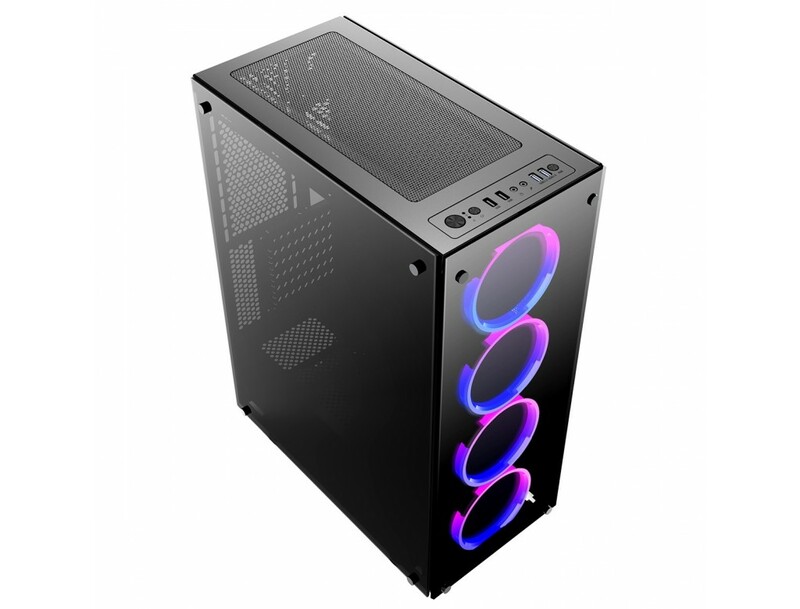 The Predator includes a PWM hub that lets you connect up to eight 6-pin fans and two 3-pin ARGB LED strips. 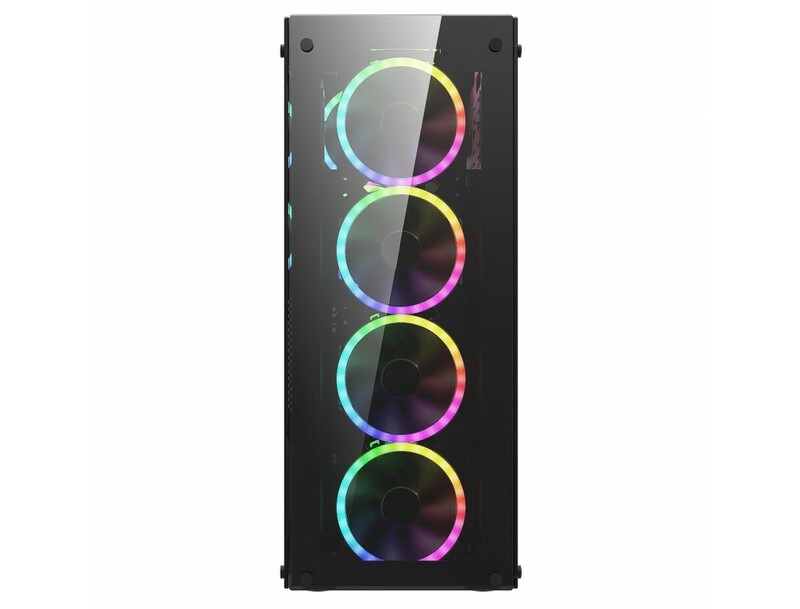 Using the Hub you can control the mode and speed of the LEDs and also control the fan speed. 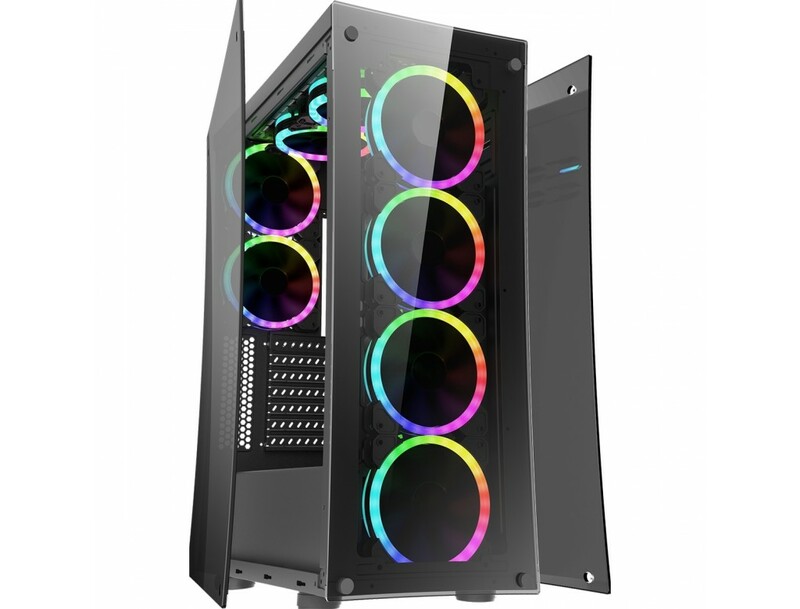 Spectrum Fans - Four 120mm Spectrum Fans are pre-Installed, provides great cooling support and a dynamic cyber gaming atmosphere. 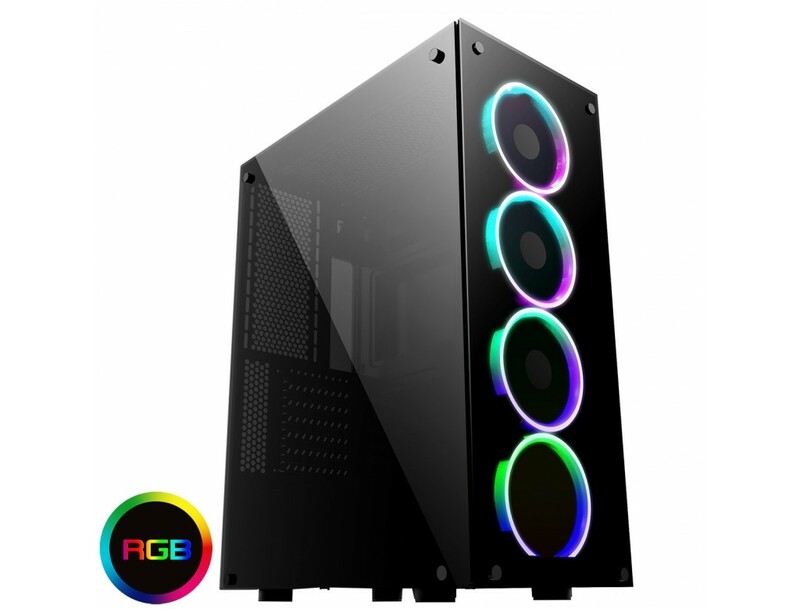 PWM Hub - A PWM hub has been included allowing you to connect to 8 6pin fans and 2 3pin ARGB LED strips. From the hub you can control the LED speed, LED mode and fan speed. 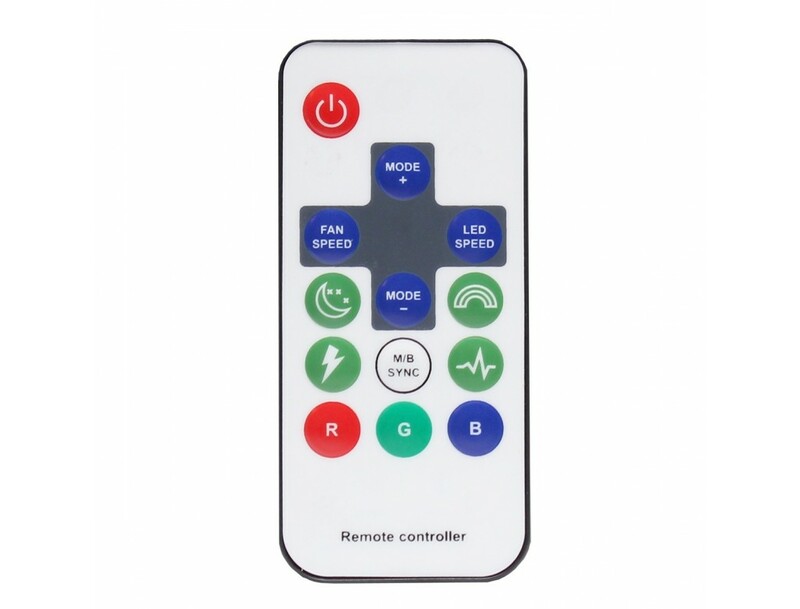 RF Remote Controller - The RF remote controller makes it easier to change the colour combinations and you can light up your fans using the several colour modes the fans have to offer, you will never run out of ideas. 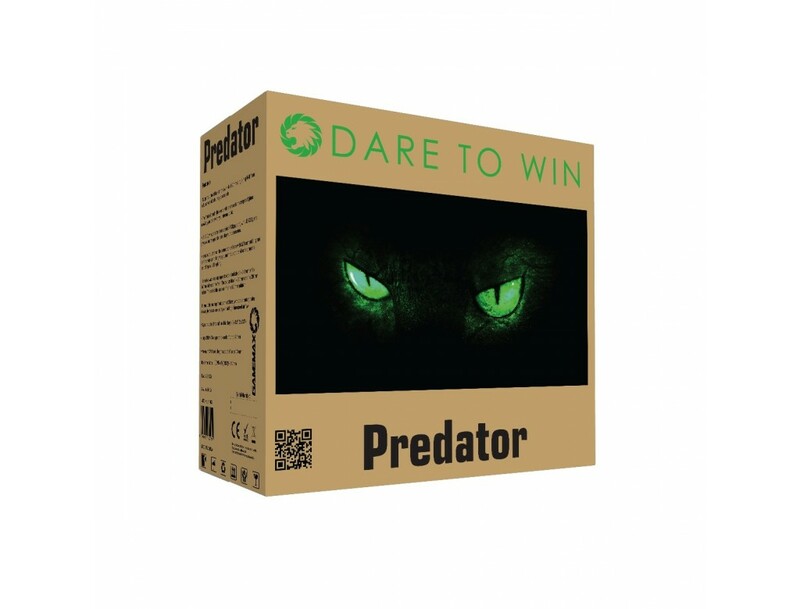 Three Sides of Tempered Glass - The Predator comes with three sides of tempered glass offering edge-to-edge interior visibility complementing a clean exterior profile. 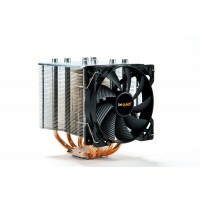 Watercooling Ready - Plenty of space for watercooling enhances your cooling options with room for a 1 x 120/140mm/240mm/280mm radiator at the front, room for a 120/140/240/280mm at the top and room for a 120/140mm radiator along with space for mounting a reservoir. 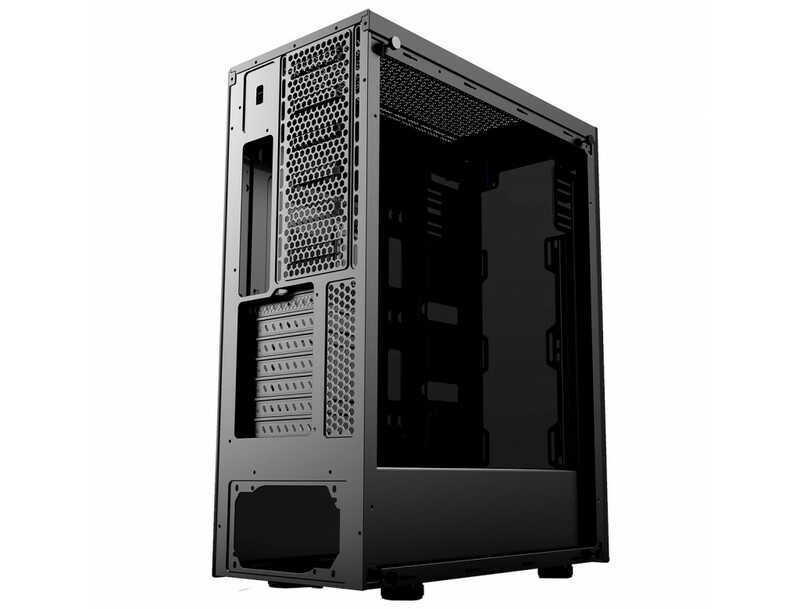 Dust Filters - The pre-installed magnetic dust filters on the top and bottom helps to prevent dust from getting into your build and helps improve the performance of your chassis. 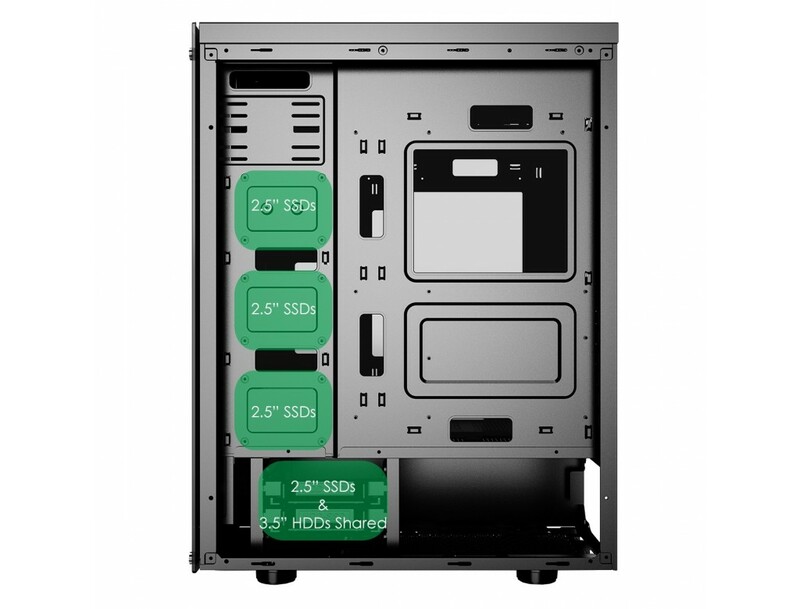 I/O Ports - The USB and HD audio ports are located on the top of the front panel is built with gamers in mind, it is easy to connect to most media storage devices and when building it is easy to disconnect the wires to completely remove the front panel while building too.